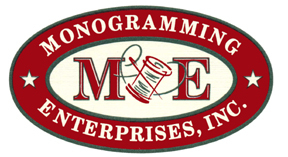 We can match the detail of almost any logo design with our machine-based needlework. Our embroidery service stocks in excess of 375 thread colors to choose from. We can customize a variety of marketing and promotional materials including: pens, clocks, stickers, magnets, mugs, glassware, key chains, and many other products and items. See our catalog section under products for the full selection of products. We provide high quality screening of images, brands and logos on a variety of apparel. We offer free design consultation for customers who want to develop a professional custom logo or brand identity for use on apparel or other materials. Our team can provide assistance with layout, color, font, and many other aspects of logo design and brand identity.